I'm in a beatles mood lately. 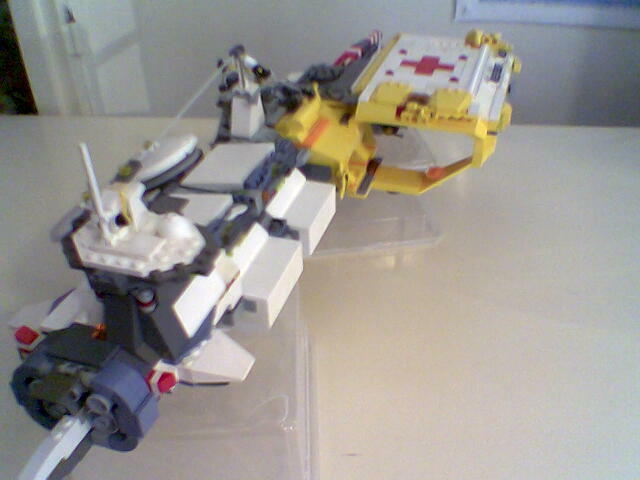 Today's post features some microscale Homeworld MOCs by Brickshelf user Kero40. They're pretty ugly in some aspects, but they still somehow charmed me in to featuring them. 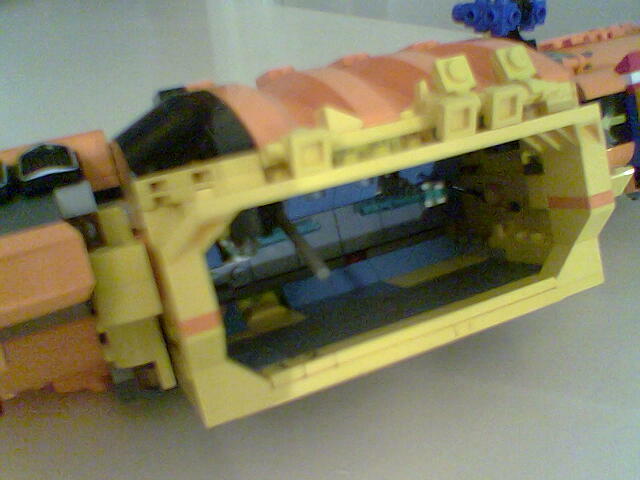 It's a "Middle Sized Tactical Enforcer Carrier", an everyday M-Stec. Poor photography unfortunately. The feature that first grabbed me on this was the candy cane on the front; I'd attempted this before on my Olympus but it looked like a boring candy cane - this candy cane on the other hand is chunky with odd sharp edges! This shape seems to hark back to the chunk look given by the concept art for homeworld. I'll be taking this idea for future candy canes. 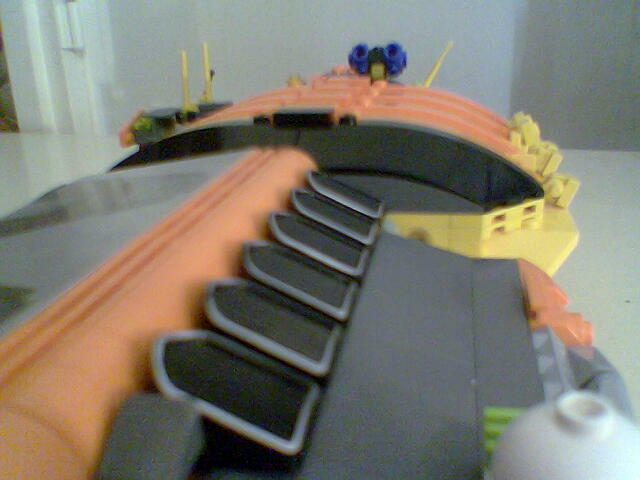 Another neat thing is the use of multiple engine grills, not sure what they're supposed to be - but they look neat! There's little more cool things on this, aside from the big hanger - somehow looking at it as a whole, it just seems right. Maybe I'm crazy. A much better build than the former. The "Capital Hospital SpaceShip" is also better coloured. The Candy cane isn't as cool though. Not much to say here, awesome shape. So check 'em out.